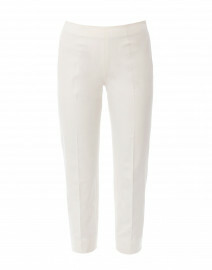 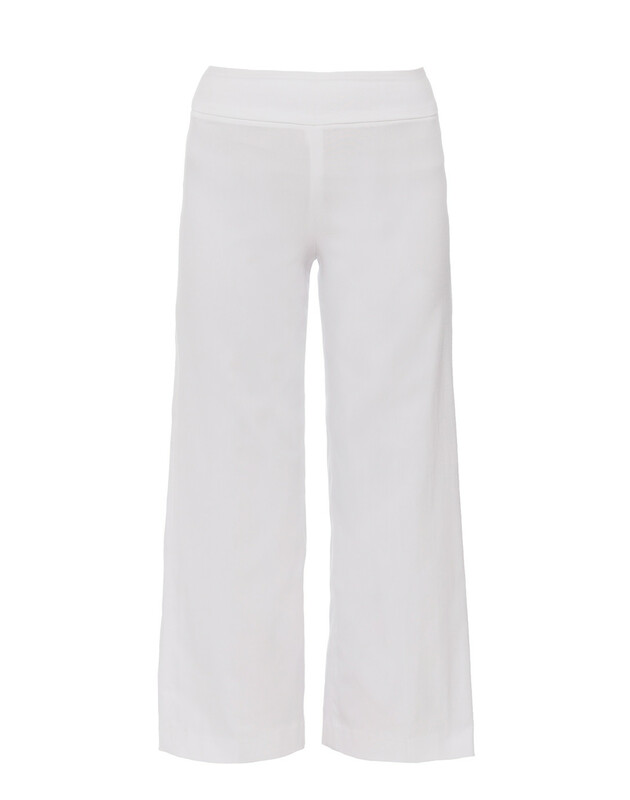 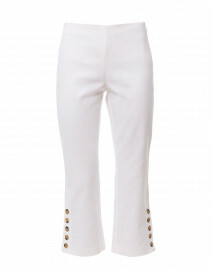 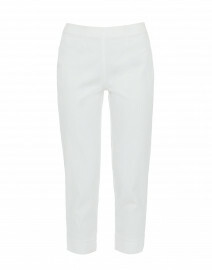 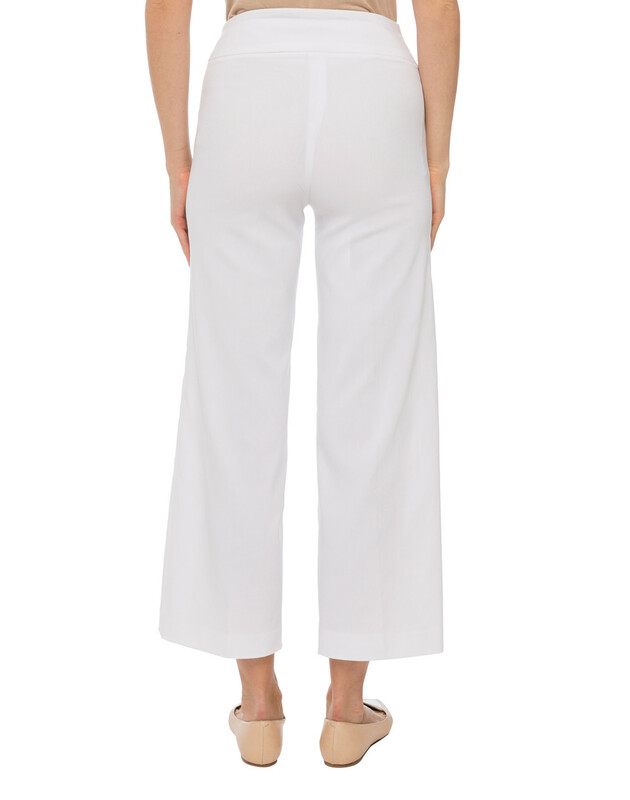 Fabrizio Gianni's white trousers are the perfect palette cleanser for your new-season wardrobe. 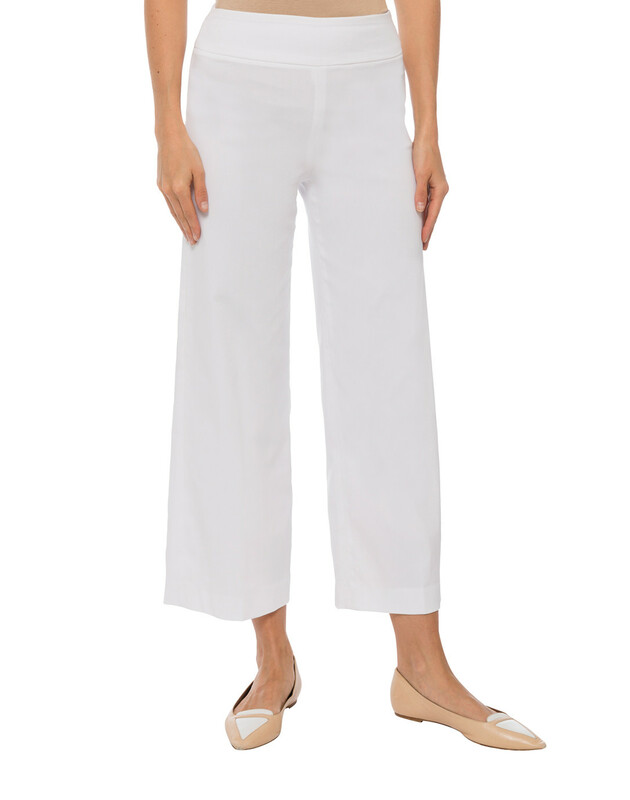 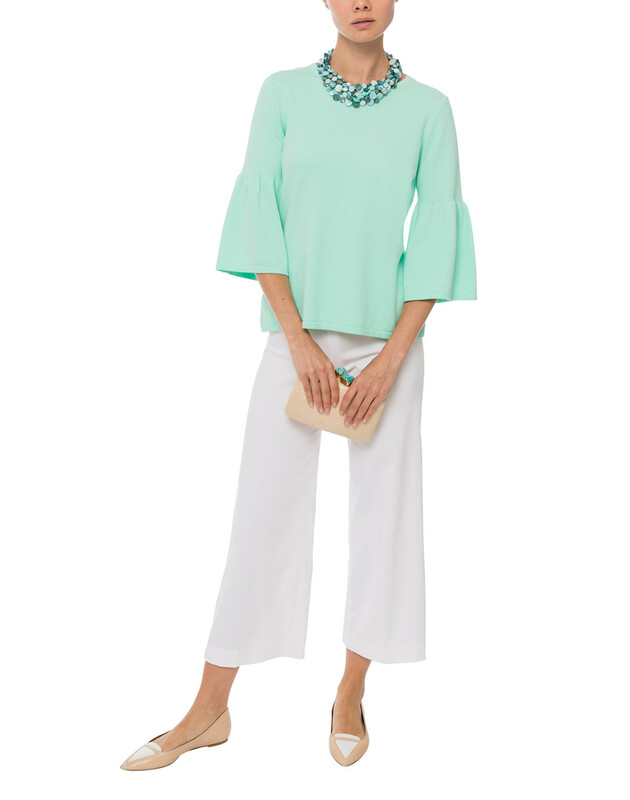 Crafted from poly-spandex blend, they have a mid-rise, pull-on style and fall in cropped wide legs silhouette. Style yours with a classic cashmere sweater for a chic, casual look. 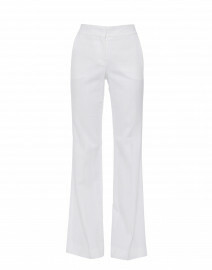 Waist 26" 27" 28" 29" 30" 32" 33"
Hip 31" 31" 33" 34" 35" 37.5" 39"
Front Rise 10.25" 10.75" 11" 11.25" 11.5" 11.5" 12"
Back Rise 15.5" 16" 16.25" 16.5" 16.75" 16.5" 16.5"
Inseam 26.5" 26.5" 26.5" 26.5" 26.5" 26.5" 26.5"
Leg Opening 21" 21.5" 21.5" 22" 22.5" 22.75" 23"